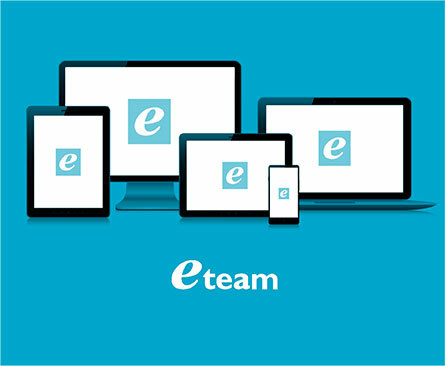 Mike is the Managing Director of eTeam. Mike has over 30 years of software industry experience having worked in a number of management and executive roles with technology companies such as System Builder, Unidata, Ardent Software and Informix. In 2000 Michael co-founded eWise Systems and continued to serve as its CTO and director for the next 11 years. Nghia has been part of the team for over 15 years since graduating from James Cook University of North Queensland with a Double Major in Computer Science. He has been heavily involved in all Account Aggregation implementations worldwide, specialising as the on the ground primary technical point of contact. He has been stationed in the United Kingdom providing direct technical project management and support for Citibank ‘s Egg Money Manager and HSBC Firstdirect’s IB+ account aggregation applications. He has also managed the delivery of the Account Aggregation solution to Yorkshire Building Society as well as working with Centricom to deliver the Poli online payment system to New Zealand with Unisys, and South Africa with Kanderlane. Nghia was instrumental in delivering the bank grade infrastructure to PingAn Insurance hosted at IBM’s data centre in Shanghai, where he continued to maintain the cohesive relationship with IBM GTS and AMS China. He continues an extended relationship with Westpac, the Australian foundation Account Aggregation customer where for the last decade has been the primary technical point of contact to the bank. He has been heavily involved in the infrastructure design and delivery of the 4th major release of the Account Aggregation solution to the bank. Mark’s over 30 years of experience in the IT industry has encompassed a diverse array of solutions from real time engineering automation software to innovative mobile financial applications. For the last decade, as a director of eTeam Software, his focus has been on system architecture, security analysis and project management. He was one of the founders and directors of eWise and was instrumental in the strategy, architecture, security design and patenting of the eWise Aggregation and Payment software solutions as well as managing major complex implementations such as that for Westpac. Mark has a Bachelor of Science in Electrical Engineering from the University of Witwatersrand in South Africa and a Bachelor of Accounting Science Degree from the University of South Africa (UNISA). Jürgen has had a lead role in the design, development and maintenance of eWise payment solutions. He was also responsible for the initial development of a client side aggregation strategy and was one of the founders and directors of eWise. Jürgen has over 30 years’ experience in the software industry having key roles in customer integration and product design and development for such diverse customers as Hoare Govett, William Hill, Sainsburys, London Underground, ADP, Standard and Poor’s and US Bank. He was also instrumental in the design and development of the System Builder 4GL and web tools. Jürgen has an honours degree from the University of London. In his lead role, Colin has been influential in the design, development, maintenance and support of all the eTeam developed solutions including eWise Account Aggregation solutions. Colin brings over 20 years of expertise in the Software Development Life-cycle ensuring designs meet customer requirements, development is delivered to specification, and products are maintained and fully supported. Colin has lead the design and development for all eWise Account Aggregation solutions for Westpac in Australia; Citibank, Firstdirect and Yorkshire in the United Kingdom; and PingAn Insurance in China. He also heads the 24x7x365, Engineering Support team ensuring Business As Usual updates are released to customers in a timely fashion under Service Level Agreements. He holds a Science Degree in Computing and Physics from Waikato University in New Zealand. Neill has been actively involved in the IT industry since the early 1970’s when he founded a small computer service bureau in South Africa which went on to list on the Johannesburg Stock Exchange as one of the country’s largest computer bureaus. In 1987 Neill formed System Builder Corporation, a software company that he built into an international group, operating in the USA, Canada, South America, the UK, Switzerland and South Africa. Through a series of mergers, the group ultimately became part of Informix, one of the then ten largest software companies in the world before being acquired by IBM. Neill, who has previously worked with all members of eTeam Software, is currently the chief executive of a small venture capital business and also maintains equity interests in a number of start-up computer and Internet-related ventures.